The Grossman Law Offices is a Fresno Personal Injury Law Firm that fights for clients who have been injured due to the negligence, intentional acts or recklessness of others. Devoted to preserving and protecting the rights of the injured, our lawyers work diligently to obtain the maximum monetary damages possible for our clients. If you have been injured in any type of accident, call a Fresno Personal Injury Lawyer with the Grossman Law Offices at (800) 462-5555 to make an appointment for a free, in-office consultation. Personal Injury matters are handled on a contingency fee basis, and we will always keep you informed about the status of your case. 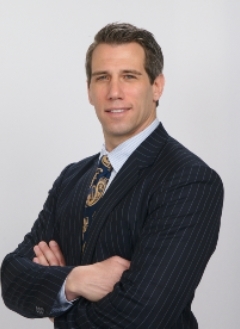 Attorney Dennis A. Grossman is admitted to the practice of law in both New York State (1997) and California (2004). Prior to joining his father’s firm, Lawyer Dennis Grossman worked as a Wall Street corporate tax lawyer in New York City at the Firm Swindler, Berlin, Shereff & Friedman, LLP. After leaving Swindler, he was a senior manager & corporate tax consultant for Pricewaterhouse Coopers and Ernst and Young, focusing his practice in the areas of cross-border mergers & acquisitions and structured financing transactions. Since joining the Grossman Law Offices, Mr. Grossman has successfully represented thousands of Personal Injury clients, obtaining millions of dollars in settlements and verdicts on their behalves. As a result, he was extended an invitation to join the prestigious Million Dollar Advocates Forum. 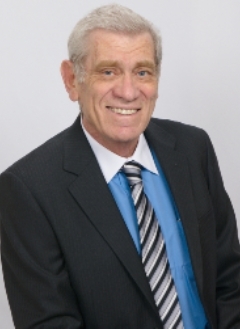 The Founding & Managing Partner of the Grossman Law Offices, Fresno Injury Attorney Paul Grossman has been engaged in the practice of law since 1972. Throughout the course of his career, Mr. Grossman has obtained more than $100 million on behalf of injured clients in settlements, judgments and injury awards. Mr. Kreit earned his Bachelor of Arts from Macalester College in St. Paul, Minnesota where he was awarded the DeWitt Wallace Distinguished Scholarship. Upon graduation, he attended Columbia University School of Law in New York City, from which he was awarded his Juris Doctorate in 2010. While attending Columbia University, Attorney Ted Kreit was named a Harlan Fiske Stone Scholar in recognition of his superior achievement. He worked in New York City for Community Legal Services, helping homeowners with their foreclosure matters, and also worked with New York City Legal Services on numerous workplace discrimination cases.